Hope you all had a lovely Easter and are ready for our next adventure. This month the multi-talented artist Kate Hardy will be joining us on 17th May to lead another of her brilliant life drawing classes. Kate has visited us a couple of times before and we normally find that we have a full house, so do try to come along early. We will also be mandating our delegate - this year someone from N1 WI - to put forward our votes on motions to the NFWI AGM. We'll be at the usual place, usual time - 7.30 for 8pm start at St Margaret's House, Old Ford Road, E2. All materials will be supplied. Free for members, suggested donation of £3 for non-members. We'll also be raising money for Cake Break for MS, so if you are a baker, novice or otherwise, do please bring along some home-made cakes for us to sell, and some spare change to but something! We hope to raise more for the charity at our coffee morning at 10.30am on 20th May. This time we'll be visiting the wonderful Create Place (just a few doors down from St Margaret's House) where we'll be able to buy tea and coffee, look at the merchandise and see what they goes on in this craft-y venture. 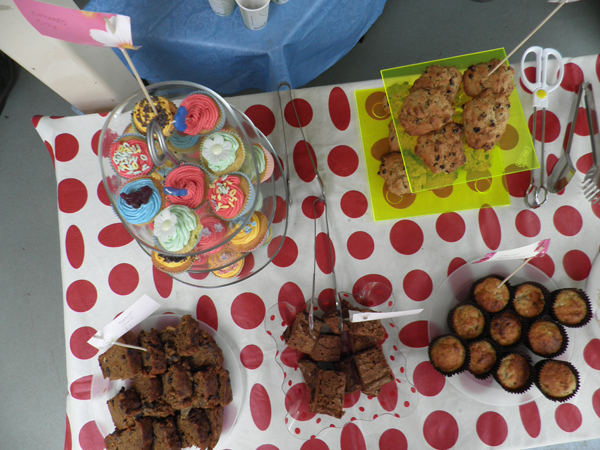 So more cakes for sale would be welcome there too! 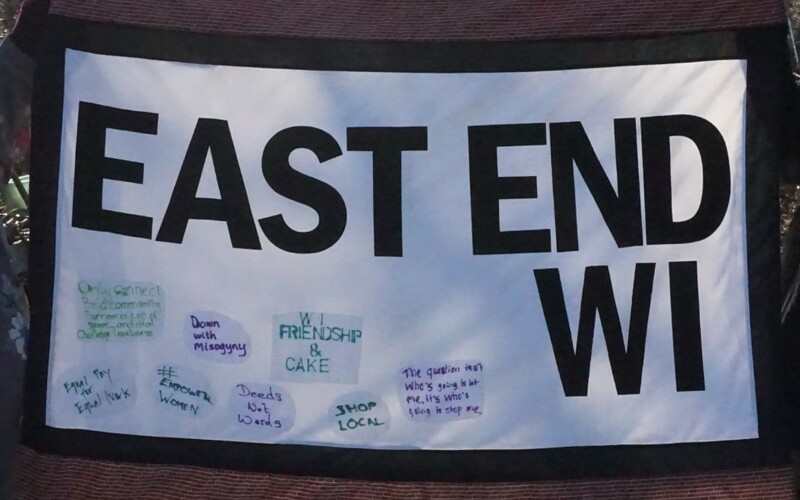 Just to get your appetite whetted, here's a wee sample here of what our faithful bakers made when they generously turned up to support the Mile End Cemetery event last Sunday. Well done all, especially Clare who co-ordinated our team - and, according to my John, made the very best fruit cake. Must say what a positive impact Theresa's presentation had on our diets in this house. Lots of raw food salads, veg cut up small and as many greens as possible. How will I cope in winter though? the women's library needs you!